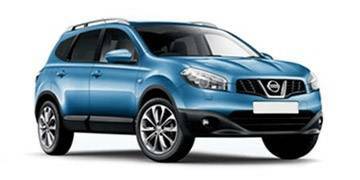 Read our helpful guide to second hand Nissan Qashqai. Why buy a used Qashqai? Which used Qashqai should I buy? AA Cars works closely with thousands of UK used car dealers to bring you one of the largest selections of Nissan Qashqai cars on the market. You can also browse Nissan dealers to find a second hand car close to you today. All used Nissan Qashqai on the AA Cars website come with free 12 months breakdown cover. The QASHQAI is the most sought after car in the Nissan range. It really is the car for everyone, with it's great styling, high driving position and superb equipment levels. The Qashqai has been voted 'Used Car of the Year' by used car pricing experts CAP - for the second year in a row. The award is yet more recognition of the skill of the British workers who designed, engineered and build the Qashqai. The company has stylists working in Paddington, London, and engineers in Cranfield, Bedfordshire. The Qashqai is built in Washington, Tyne and Wear. Sitting somewhere between a SUV, a mini MPV and a supermini, the Nissan Qashqai was designed not to fit a car class but rather to fit the customer.While this places it in a somewhat confusing category, it is clear in what it offers: practicality, versatility and a bit of life. While it might not share much with smaller cars such as the VW Golf visually, it is this that Nissan claims to be its closest rival. One of the most popular cars in the Nissan fleet, the success of the Qashqai is testament to the fact that drivers' needs are constantly changing. The market for a car smaller than an MPV, slightly bigger than a supermini, and styled like a mini SUV may not have existed a decade ago, but it does now, and the Qashqai's mix of practicality, style and refinement makes it one of the leading models in it. Compared to some of its rivals - largely in the family hatchback market - the Qashqai has an abundance of space. Considerably bigger than the luggage space offered in the Golf or Focus, the Qashqai's 410 litre boot places it slightly behind its bigger rivals in the mini SUV class, but remains impressive for a car of its size. The Qashqai +2 manages to fit in an extra two seats in the back, but these are compact and really only for small children or adults on short journeys. With these two extra seats folded down however, the luggage space is considerable. Inside the cabin the quality of finish is high, which lends a feel of luxury to the Qashqai not commonly found in other small family cars. There are a good mix of diesel and petrol engine options, including 1.6 and 2.0 sizes in both, as well as a 1.5 litre diesel. The 1.6 petrol manages better on city driving than it does on the motorway, but the two 2.0 litre options pack decent levels of power, and both come with with an automatic gearbox (the petrol also come with a manual option). There is a 4WD drive option available, but being more of a family hatch than a SUV, it doesn't offer much more than the 2WD does. Despite the car's shape and size, the ride on the Qashqai is reassuringly smooth. Good suspension means it flows over uneven roads with ease, while clever engineering allows for a surprising amount body roll without causing discomfort. Efficiency is good for a crossover, but doesn't quite offer returns as attractive as the hatchbacks it wants to compete with. That said, claimed returns of around 50 to 60mpg on the 1.6 diesel - the most frugal option - are not to be sniffed at, nor are its CO2 emissions of 119g/km. In the bigger engines the fuel consumption slips down to the mid thirties in the petrol engines and the forties for the diesels, which places it around mid table in its class. Its safety rating is market leading, though. In 2007 it was awarded the highest ever adult occupant score by Euro NCAP, as well as a very high score in child occupant protection. Along with reliability - as to be expected with any car bearing the Nissan name - the Qashqai is a solid family hatchback which manages to be fun, consistent and practical. First launched in 2006, the Qashqai was instantly successful, and is today one of the most popular cars in Nissan's range. Here's a brief history of the Nissan Qashqai, starting in 2006 when it was first launched. 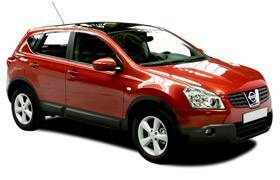 The Nissan Qashqai was first unveiled in 2006, and was designed and built in the UK. The Qashqai was awarded the best ever adult occupant score in the Euro NCAP crash test ratings in 2007. By the end of 2007 the Qashqai had sold approximately 100,000 models across Europe, and by 2008 was Nissan's fastest selling car ever, having sold 250,000. A bigger, seven seater Qashqai - the Qashqai +2 - was launched in 2009 in order to compete with bigger, more spacious cars in its class. 2010 saw the Qashqai undergo a facelift, which remodelled the front end of the car and included a new instrument panel and ESP included as standard. The Qashqai was named the Used Car of the Year in 2010 and 2011 by automotive agency CAP. A 1.6 DCi was brought in to replace the 2.0 DCi in 2011. In 2010 the Nissan Qashqai entered the top ten best selling cars in the UK list at number ten, and in 2012 climbed to number six. There are a number of different Qashqai models to choose from, including five and seven seater options. Here are some of the key models and their features. 17" alloy wheels, 6 airbags, ABS with brake assist and EBD, Bluetooth connectivity, cruise control with speed limiter, dual zone air conditioning, electrically adjustable and heated door mirrors, electronic stability program, ISOFIX anchorage points, Nissan Connect with colour reversing camera, rain-sensing wipers, radio/CD player with MP3 and USB connectivity. 16" alloy wheels, 6 airbags, ABS with brake assist and EBD, Bluetooth connectivity, electrically adjustable door mirrors, electronic stability program, ISOFIX anchorage points, manual air conditioning with pollen filter, radio/CD player with MP3 capabilities. 18" alloy wheels, 360 Around View Monitor, 6 airbags, ABS with brake assist and EBD, Bluetooth connectivity, cruise control with speed limiter, dual zone air conditioning, electrically adjustable door mirrors, ISOFIX anchorage points, Nissan Connect radio/CD player with MP3 and USB connectivity, panoramic glass roof with one-touch shade, rain-sensing wipers. 360 exterior badges, 18" alloy wheels, 360 Around View Monitor, 6 airbags, ABS with brake assist and EBD, Bluetooth connectivity, cruise control with speed limiter, dual zone air conditioning, electrically adjustable and heated door mirrors, electronic stability program, ISOFIX anchorage points, Nissan Connect radio/CD player with MP3 and USB connectivity, panoramic glass roof with one-touch shade, rain-sensing wipers. 18" alloy wheels, 360 around view monitor, 6 airbags, ABS with brake assist and EBD, BOSE 7-speaker system, cruise control and speed limiter, colour rear view parking camera, dual zone air conditioning, electrically adjustable and heated door mirrors, electronic stability program, ISOFIX anchorage points, Nissan Connect radio/CD player with MP3 and USB connectivity, panoramic glass roof with one-touch shade, rain-sensing wipers, Xenon clear lens headlamps with headlamps washers. 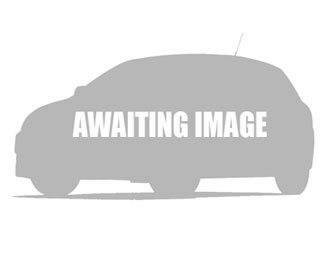 What should I look for when buying a used Qashqai? Nissans are known for reliability, but it is still essential you carry out a thorough check when looking at any used car. Here are a few points to look out for. Take a walk around the outside of the car checking for any visible faults. Check the tyres for excessive wear, 18 inch wheels are known to wear fairly quickly, particularly on four wheel drive models. Check all electrics are working properly, especially the air conditioning. Some models from 2006 and 2007 were recalled due to a fault with the AC, which caused unexpected engine stalling. Inside the cabin check that there is no smell of damp, or moisture on the inside of the windscreen. There have been some complaints of windscreens leaking - if this is the case the whole windscreen will likely need to be replaced. On 2007 models there have been some complaints of faulty steering. If the steering feels loose when out on the road it could mean that this might need to be replaced. Any blue or black smoke coming from the exhaust on diesel engines could mean that the turbo has gone - a costly repair job, usually not worth undertaking at your own expense. When starting the engine, check for the Diesel Particulate filter warning light, which should turn off once the engine starts. If not this will need to be replaced. On a test drive check that brakes are working properly and evenly. Some Qashqais have reported uneven brake wear which could mean replacements are needed. Faults with the ECU would be indicated by a sudden surge in revs or engine power from just a light touch of the accelerator. This might also be the result of out of date software, but either way it should be checked before purchase. When on the road, listen for any noises or rattles coming from the car which could mean that the suspension is worn. Shock absorbers replaced by Nissan themselves are usually labelled by red dots.